There can be countless big or small issues in the life of the human beings every day. Loosing your car keys or getting them locked in your car are among such frustrating issues. This usually happens when you are in a great hurry to make a major commitment. Such emergent situations leave you frustrated and helpless. Some people even try to force themselves into the car by forcefully breaking the window. They try to pry or just open the car doors that eventually result in damaging the vehicle door locks. However, this can be very costly, since this demands you to spend handsome amount of money to replace the car window. That’s why you should consider hiring automotive locksmith services. The ideal thing you can do is to call upon a locksmith. Automotive locksmiths are qualified experts who know how to handle toughest of the situations. Professional automotive locksmiths offer plenty of advantages. The role of locksmiths is quite important. They are the only people to save you when you lock your keys in the car. They are highly capable and trained people. They can get into the car easily and even make a replacement key. This can be quite useful if some has gotten into the habit of losing keys or locking your keys in the car. Many of us have fallen victim to this at some point in our lives. Some people think ahead and get their Holden car key replacement from their local locksmith. When you hire Automotive locksmiths, you get peace of mind that your car’s door locks will be opened most efficiently by these professionals. You can rest assured that there will not be any breakage of the locks, so you can carry on with driving your car. There are certain issues with locks that can be best left on locksmiths. Professional automotive locksmiths are there for the emergency services whenever you need them. For instance, it’s 2 AM in the morning and you unfortunately locked your keys in the car. What will you do? Luckily, an automotive locksmith company can help. Most of the auto locksmith companies are open 24 hours of the day and they can help you, regardless of the time. The best thing about professional automotive locksmiths is that they have profound knowledge in the subject. They are highly skilled and trained at their jobs. Professional locksmiths have the expertise in installation, replacement, repairs and duplication of keys. They carry lots of tools and gadgets that assist them in their work. They get your car lock opened by using master keys and master reset tools. Car key replacement services are of immense importance as they take you out of dangerous situations and act quickly in emergency situations. If you are a Holden car owner and unfortunately ever found that your key has become jammed in the ignition, you should immediately rush to automotive locksmiths that specialise in offering Holden car key replacement services. When it comes to your car, always go for the best automotive locksmiths. 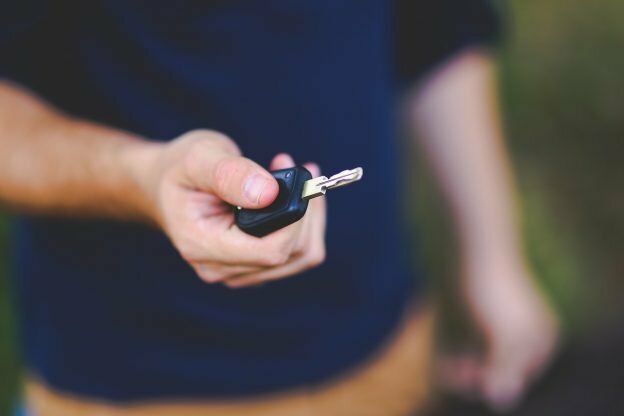 Whether your car key has been stolen or broken, you must head to a reliable and affordable automotive locksmith to get your keys replaced. Automotive locksmiths are experienced professionals that perform their task with utmost precision and care. This entry was posted in Car Key Replacement on February 9, 2018 by admin.